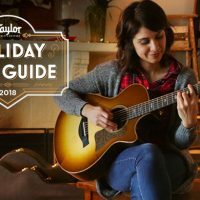 The holiday season isn’t just a perfect time to give an acoustic guitar—it’s also a great opportunity to introduce experienced guitar players to new sounds. 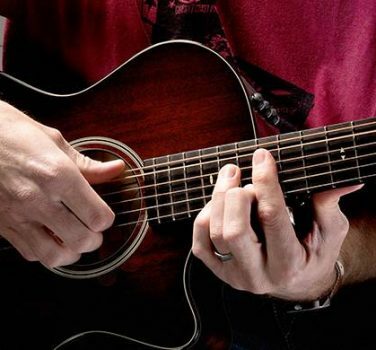 Even the most skilled players sometimes get stuck in a rut, and a specialty guitar can be the perfect way to liven up practice sessions and songwriting. 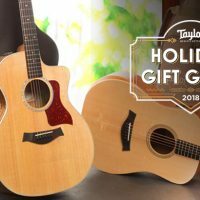 If you’re looking for a guitar that can add a distinct flavor to your music, or you want to inspire a lucky someone with a guitar they won’t expect, these are all great choices. 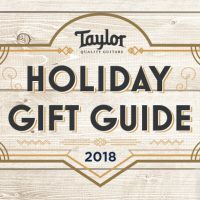 Visit the Taylor Guitars Holiday Gift Guide for more helpful information on finding the right guitar this holiday season. 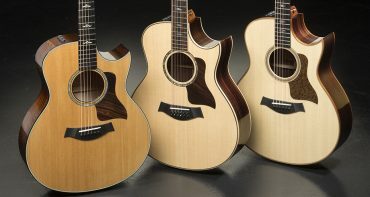 It’s true that the vast majority of our guitars come with steel strings, but we make nylon-stringed instruments as well. 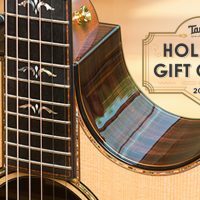 Pairing our innovative body styles like the Grand Auditorium or the Grand Concert with nylon guitar strings, they produce a lively, classical-esque sound that can add dimension and texture to your music. 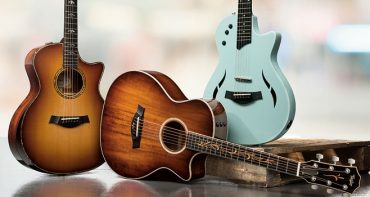 Our nylon-string guitars are built with a slightly wider, flatter fretboard with a sleek profile, akin to a classical guitar but without the overwhelmingly bulky handfeel. 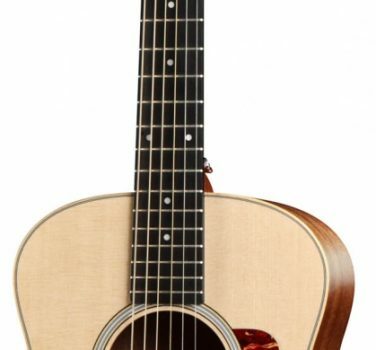 The result is an easy-playing guitar with the warmth and percussive attack of nylon strings combined with the articulation and clarity of our steel-stringed instruments. 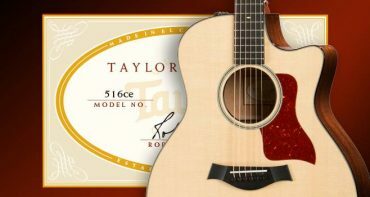 These guitars feature an “N” at the end of the model number to denote the inclusion of nylon strings. 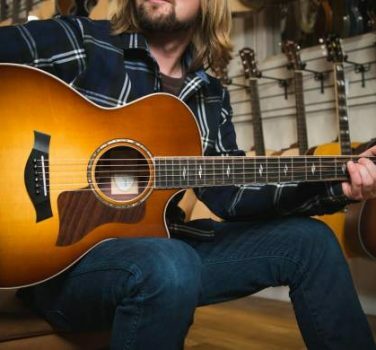 When we call a guitar a “12-fret” model, it means that guitar has a different configuration in which the neck attaches to the body at the 12th fret rather than the 14th. By moving the bridge backward toward the end of the guitar, we’ve changed the way the top responds when you play the guitar, resulting in a more flexible handfeel and more attack in the midrange frequencies. Our 12-fret models also feature a slotted headstock, which draws the string to the tuning machines at a more acute angle. This also eases the tension on your fretting hand slightly while providing a little more sustain. 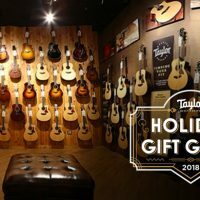 We offer 12-fret models in many of our series, so check the Taylor Guitar Browsing tool to find a model that appeals to you. Music isn’t just for the big kids! We make several guitars that are great for smaller players and those who need to travel with their guitars. 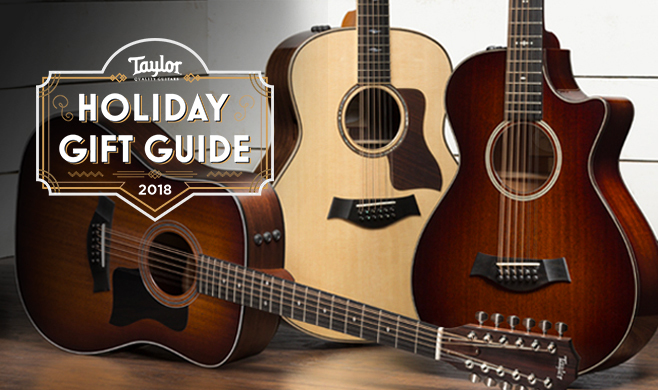 Perfect for beginners who aren’t physically large enough to hold a full-size guitar, the Baby Taylor is made from a solid spruce top and high-quality layered sapele back and sides for projection and durability. The ever-popular GS Mini boasts volume and projection that belie its small size. With a solid top and an unbraced body, it pushes enough sound for a jam session, but is small enough to make it a great dorm or tour bus guitar. We even have a travel option for bass players! The GS Mini Bass is exactly what it sounds like: a small, portable acoustic bass with four strings and enough power to cut through the mix in recordings or practice sessions. 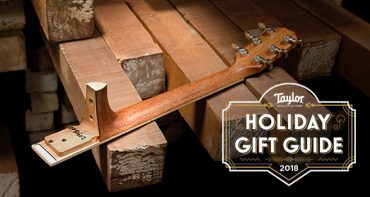 Though less common than our other specialty instruments, our baritone guitars pack no less of a punch. Built to a longer scale length to allow for lower pitches, these guitars are tuned B-to-B for a rich, throaty sound that rumbles with a powerful low end. We also offer baritones in 8-string models, which feature an extra pair of octave strings for a touch of brightness and shimmer above that deep bass sound. Baritone guitars are very popular with metal players, who often need the extra room on the low end of the scale to compose their music. However, our baritones are useful for all styles, especially if you’re looking for a distinct sound to enhance your music or broaden your guitar-playing horizons. 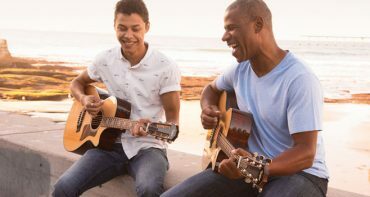 Baritone guitars can also help you compose music with a vocalist, as they provide a lower register that might be more comfortable for some singers. Give one a try and you’ll hear the difference right away.